Tired of eating the same salad every day? 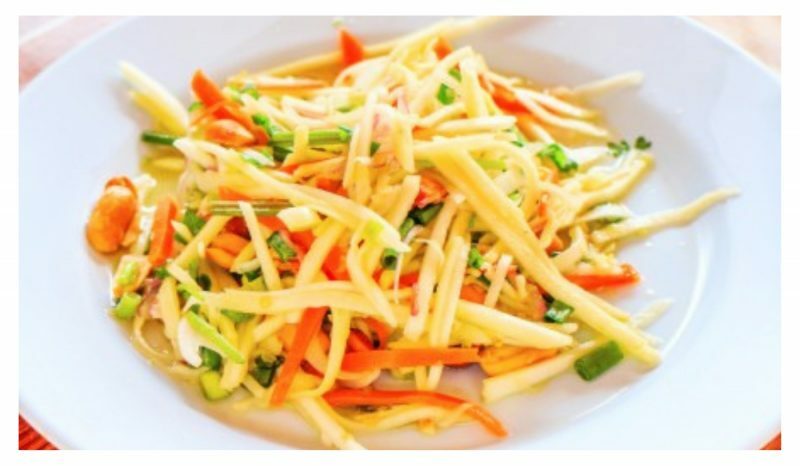 Try this fresh, tropical salad and you will not regret it! Peel the mango, then shred the mango, guava & carrots. Dressing: In a medium size bowl add fish sauce, sugar, lime juice, canola oil, ginger, garlic, Thai chili pepper, and lime rind. Then whisk in the oil. Pour the salad dressing over the salad, toss the salad before serving.